Wohlsen Construction Company is pleased to announce three new members of the Delaware Valley team: Rocco Lano and James Campbell, joining as superintendents, and Justin Miller, joining as an MEP field coordinator. Rocco Lano, a graduate of Wilmington University, has worked in the construction industry for over 25 years. He has extensive experience leading complex construction projects in the region, including projects for the Roxana Cannon Arsht Surgicenter in Wilmington, DE. Additionally, Lano has served as a masonry instructor for several years. Lano will serve as the superintendent for Wohlsen’s in-progress Pharmaceutical Manufacturing Facility for Datwyler in Middletown, DE. Also joining as a superintendent is James Campbell, who returns to Wohlsen with over 34 years of experience in the construction industry. 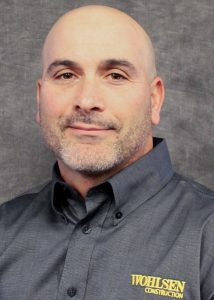 Campbell earned his Associates degree in Civil Engineering Technology from Delaware Technical and Community College and began his career as a carpenter, quickly advancing to master carpenter, foreman and superintendent. He brings to Wohlsen his vast experience in the senior living, healthcare, and education, and commercial markets. 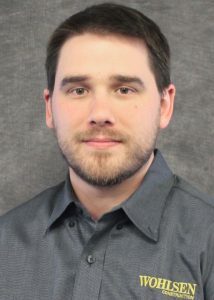 Campbell will be working on Brandywine Realty Trust’s 500 North Gulph Road project in King of Prussia, PA.
Justin Miller comes to us as an MEP Field Coordinator and is a graduate of Pennsylvania State University where he earned his Bachelor of Science degree in Architectural Engineering. 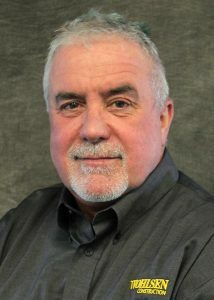 Miller has worked on several projects across the Delaware Valley throughout his decade-long career, including projects at The Franklin Institute and Walter Reed Army Institute for Research. Miller joins Wohlsen for the Capital One project in Wilmington, DE.